Apple has updated its iTunes Store on iOS devices and the Apple TV with plenty of 4K movies ahead of the launch of the Apple TV 4K, but as made clear in a recent support document, 4K content from Apple can be streamed, but not downloaded directly on a device. According to Apple, customers can download a local copy of an HD movie, and on occasion, HD movies that support HDR and Dolby Vision, but 4K movies are not available for download and thus can't be watched without an internet connection. You can download a local copy of an HD movie, and you might be able to download HDR and Dolby Vision versions, but you can't download a 4K version. That means customers who have had their previously-purchased iTunes movies upgraded from HD to 4K at no cost can stream those movies in 4K, but can only download HD versions. Newly purchased content is also restricted from download. It's not clear why Apple is not allowing customers to download 4K content onto their devices, but it could potentially be a licensing issue. Apple is providing 4K content at the same price as HD content, though movie studios were rumored to want to charge more. It's also possible it's a local storage issue, as 4K movies have large file sizes. To stream 4K content to the new Apple TV 4K, Apple recommends a minimum speed of 25Mb/s, according to the support document. If an internet connection isn't fast enough, Apple will downscale the video quality. In addition to the download restriction, one other major negative surfaced today -- the 4K Apple TV does not support 4K content from YouTube at this time. YouTube streams its 4K content using a VP9 video format, a codec the Apple TV does not support. 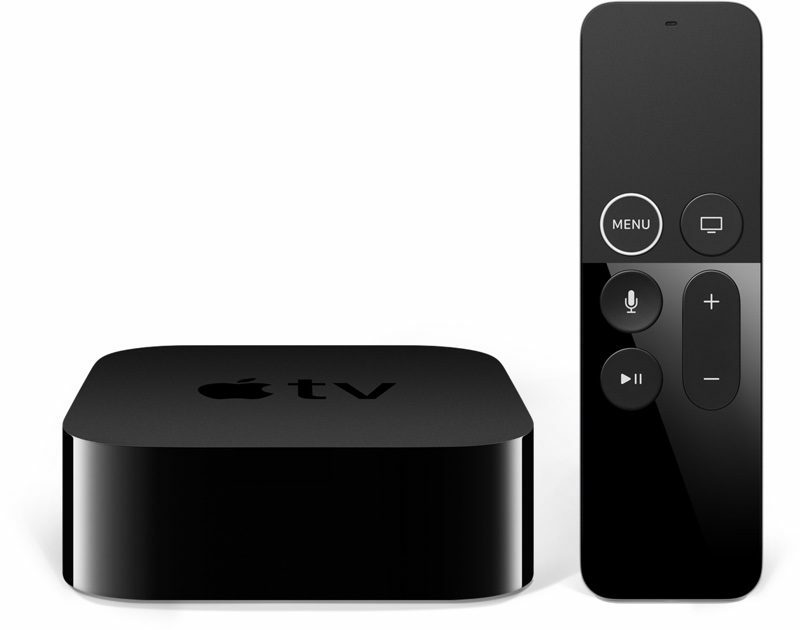 The 4K Apple TV is limited to H.264, HEVC (H.265), and MP4. Netflix and 4K content from other streaming services is supported, however, and Apple has promised 4K content from Amazon Prime Video will be available when the app launches later this year. The first Apple TV 4K orders will begin arriving to customers on Friday, September 22, the official launch date of the device. That's a shame; not everyone has a fast enough connection to stream 4K reliably. Being able to download the movie and then watch it later would have been useful. Apple seem to go out of their way to not deliver the obvious solution that people want. If it's 4k let it be 4k without silly restrictions. This is something that every customer should know before they purchase the product. This is a make or break issue. For me it totally breaks it. No Apple TV 4K for me. if your internet can't handle it, you're probably not ready for 4k. this is the exact reason why Apple TV 4k took a while to come out. It's not that Apple couldn't figure out how to make a 4k device, but rather they were waiting until the tech was ripe enough to release a 4k streaming device. What an ignorant comment. I live in a rural area with poor internet and will never be able to stream 4k, but I have a nice new LG Oled 65" 4k that I enjoy every day via uhd blu-rays. I could easily download a 4k movie overnight to enjoy the following evening if they permitted the download, but will never be able to take advantage of a streaming only situation. Please think before posting ignorant comments. If they're so concerned about piracy, this is a silly way to try to stop it because if the data is being streamed, it can be intercepted, period. I hate DRM, but still I admit that FairPlay lives up to its name, as being one of the more "fair" systems out there. Once you have your content you can watch it as much as you want, without needing the network or permission from the rights holder. I suspect the studios think FairPlay is *too* fair and don't want 4K video to be available with it. it's likely a storage issue. sure they could probably include a 128gb flash, but that would hold what? 1 or 2 4k movies? at what cost? extra $50-$100 to shell out? No, you download movies to your computer with iTunes, and they stream to your Apple TV from there. This is how people with crap Internet the world over consume iTunes video content. I'm guessing it's down to storage and user experience management. A 4K movie can easily reach around 35GB+ so will eat up around half the space already of a 64GB Apple TV. It's completely logical on the AppleTV to do this but to those of us with a huge NAS in the basement and an always on Mac w/ iTunes, we generally go to AppleTV then go to "Computers" and play our local movies we've purchased. This new change will require we stream the 4K movies from Apple and when half of the country has what the FCC considers to be "below high speed Internet" it means a ton of buffering or long load times to watch a 4K film. Most of us prefer to download once, cache it offline and watch when we want. We own the movie. This new setup keeps us from downloading in 4K locally even through iTunes on a Mac w/ a 40 terabyte NAS in the basement. Good to know-- our internet is crap after 6PM (Huzzah Charter Spectrum!) so we would have to download movies to watch. Knowing we can't, I'll hold off on picking one of these up. Thanks for the heads up! Now what? I’m hoping this will be changed soon.